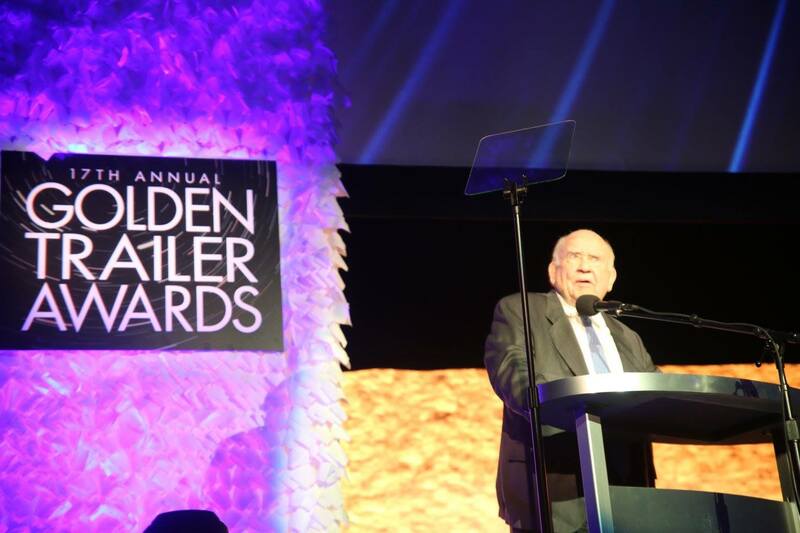 ENTERTAINMENT: Ed Asner presents the Best in Show award to 'Spotlight' at the 17th Annual Golden Trailer Awards. Photo: J. Willie David III/Florida National News. BEVERLY HILLS (FNN NEWS) The Jungle Book, Oscar-winning film Spotlight, Warner Bros. and New Line Cinema were big winners at the 2016 Golden Trailer Awards held at the Saban Theatre in Beverly Hills, California, Wednesday night. The annual event, which honors the best of picture previews and television marketing and was hosted this year by Wayne Brady, drew over 1,000 studio marketing executives, trailer editors, celebrities, and movie fans. Warner Bros. and New Line each nabbed eleven statuettes. Fox and Disney each won ten awards, while Universal netted nine and Lionsgate took home eight. The Jungle Book was the top winning film, collecting trophies in four categories. Captain America: Civil War “Vigilante,” Marvel, Trailer Park, Inc.
Rise of the Legend “US Trailer,” Well Go USA, Red Circle, Inc.
Mission: Impossible — Rogue Nation “Fate Alt Rev.,” Paramount Pictures, Trailer Park, Inc.
Zootopia “Oscar Review,” Disney, Trailer Park, Inc.
Aladdin on Broadway “Tradition/Genie,” Disney, Trailer Park, Inc.